A no experience needed guide to Level II BASIC containg all terms and commands, idex and appendices and self-tests of learning progress. 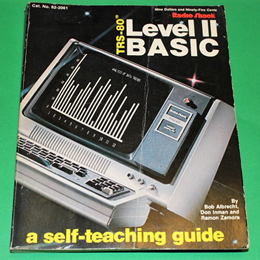 With help of this step-by-step manual, you can learn to read, understand and write programs at your own pace, no matter what your level of experince. A substantial 352 page paperback in good, usable condition.